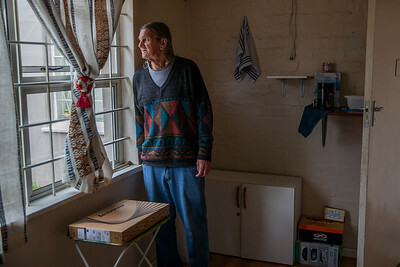 NOAH (Neighbourhood Old Age Homes) is a model of housing and service for the poor, needy and vulnerable old people in South Africa. NOAH has a hugely important goal. 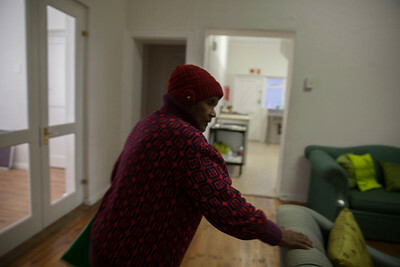 They are creating a better South Africa for the elderly, ensuring the disparities between rich and poor are broken down. They are also setting up a framework that will ensure that they reach more poor and vulnerable old people than ever before. 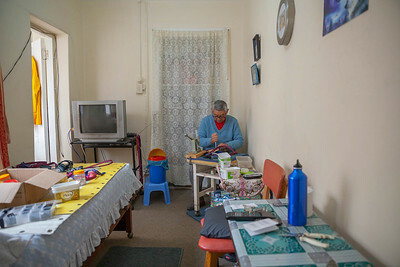 With 13 homes (houses in residential areas acquired for this purpose) spread over eight areas, NOAH, since it was founded in 1981, has developed an exemplary model of health, home and happiness, and has been a good way of meeting a burgeoning need for safe, affordable housing for the elderly. 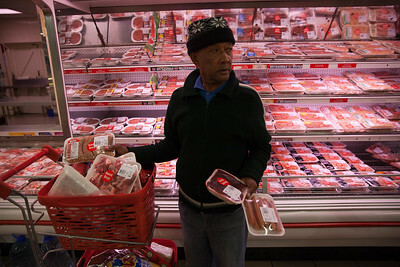 Ellister shops for his weekly groceries on his very limited budget. 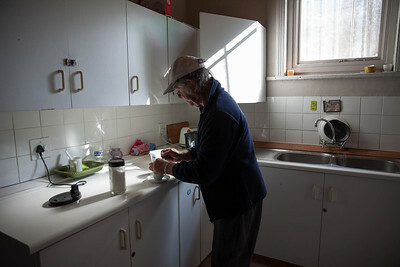 A NOAH house resident makes his morning tea. 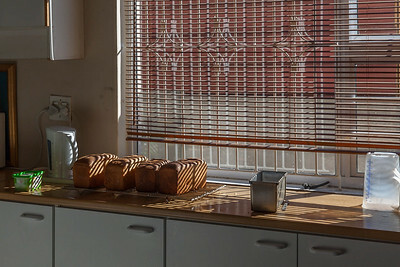 NOAH loaves cooling in the morning sun. 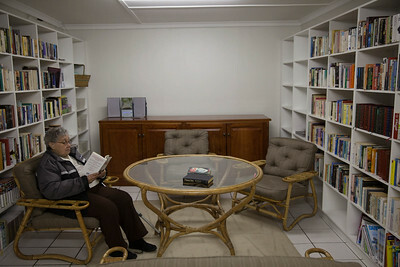 A NOAH resident enjoys the on premise library. 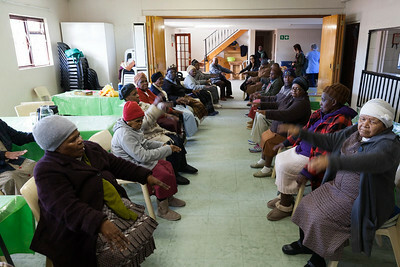 NOAH program participants take part in a daily exercise routine. 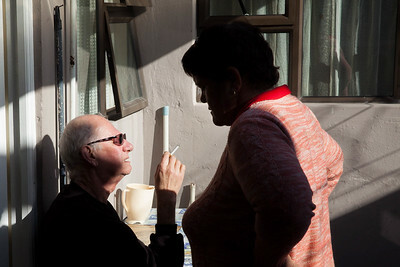 NOAH resident enjoys a smoke out on the patio as his wife looks on. NOAH resident leaving the on premise clinical office, steadies herself on the back of a couch. 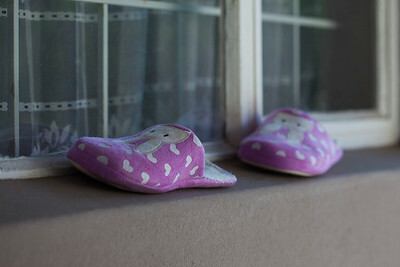 The freshly washed slippers of a resident air dry in the warm morning sun. A NOAH resident minds the Trestle Shop. This is a shop operated by the resident to earn extra income. A NOAH resident gazes out the window. 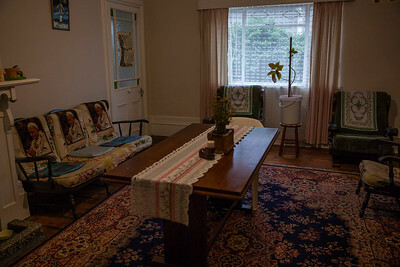 A finely appointed living room of a NOAH residence. 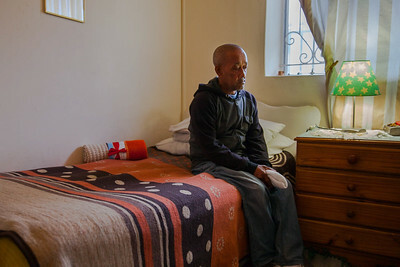 A NOAH resident sits on the edge of his bed deep in thought. 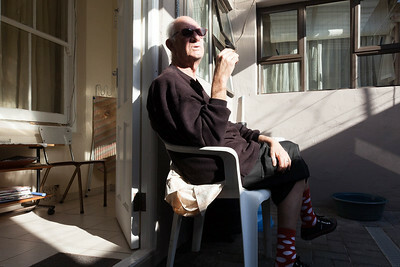 A reside enjoys a smoke in the late afternoon sun. A resident earns extra income by making dog leads and child harnesses in his bedroom. 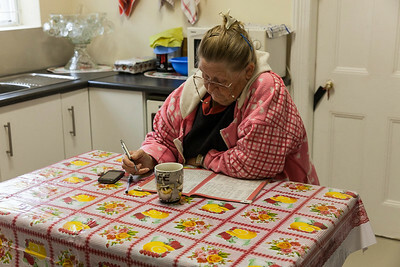 A resident sits at her kitchen table with her morning tea and enjoying her daily crossword puzzle. 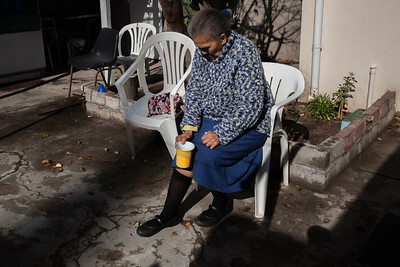 NOAH resident using her walker to get her morning tea. 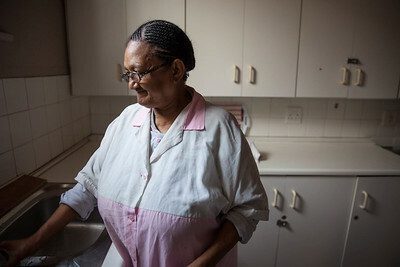 A resident prepares her breakfast in the kitchen of a NOAH home. 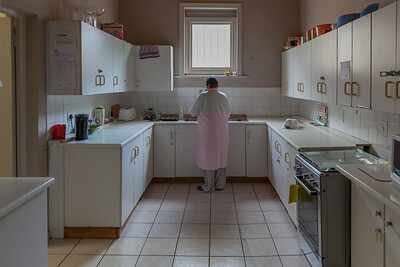 Resident in a NOAH home kitchen. 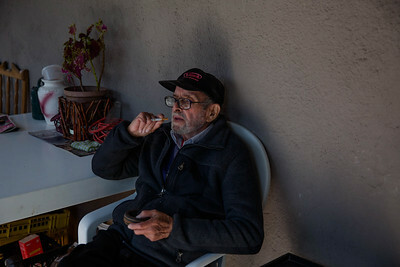 NOAH resident enjoys a quiet smoke outside in the cool late afternoon. 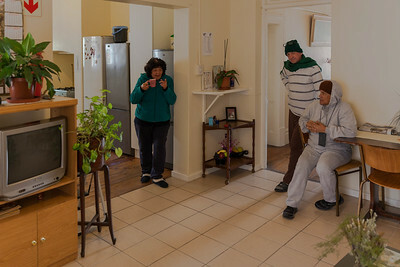 NOAH residents gather in the living room and discuss the days plans. 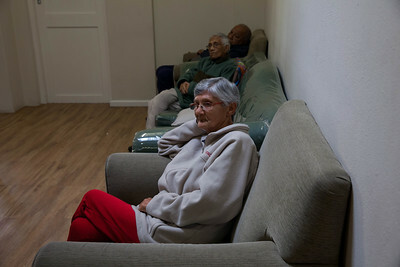 Residents winding down for the evening while watching the TV. 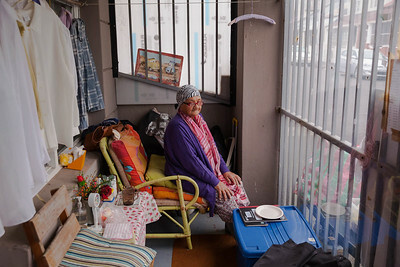 An elderly resident enjoys her morning tea in the sunshine. 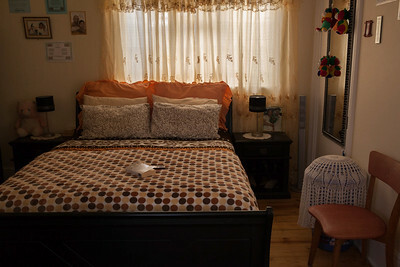 The bedroom of a resident glows warm in the late afternoon sun.